Boba Fett looks out for only one man... Boba Fett. Ever since I saw this omnibus, way back when I was in Jim Hanley's Universe, I had been itching to get my hands on this book. I didn't buy the book immediately when it came out. I should have because it took me forever to finally get my hands on my own copy after that. When I went to NYCC this year, I saw one booth had several copies on Thursday, I believe. I went back to the same booth the following day and saw all of the copies had gone. Everyone loves Boba Fett! And rightly so. There are nine stories in total. You learn all you need to know about the infamous bounty hunter. 1. He cares only about money. He has no real allegiance to any one faction of the government or any organization. He only cares about getting paid and getting paid well. 2. He has some sweet Mandalorian armor that can withstand a lot of shots, crashes, etc. I must say I really enjoyed each and every one of the stories in this omnibus. I have a particular fondness for watercolors, so "Boba Fett: Death, Lies, and Treachery" by John Wagner and Cam Kennedy was a definite favorite. Not to mention it featured some pretty awesomely sick and hilarious romance between Gorga the Hutt and Anachro the H'uun. The storytelling in this book was phenomenal. There were a lot of instances of beautifully composed scenery. "Underworld: The Yavin Vassilika" by Mike Kennedy and Carlos Miglia was another stand-out. Boba Fett was more of a background character in this story but nonetheless awesome when he did show up. The story had a group of Hutts wager against each other who had the best tactical plans to recover this mythical artifact called the Yavin Vassilika. During the entire story, Boba Fett looks like he's there to try and take down Han Solo, who's been hired by Jabba to collect the vassilika, but in reality he was there to protect Han! 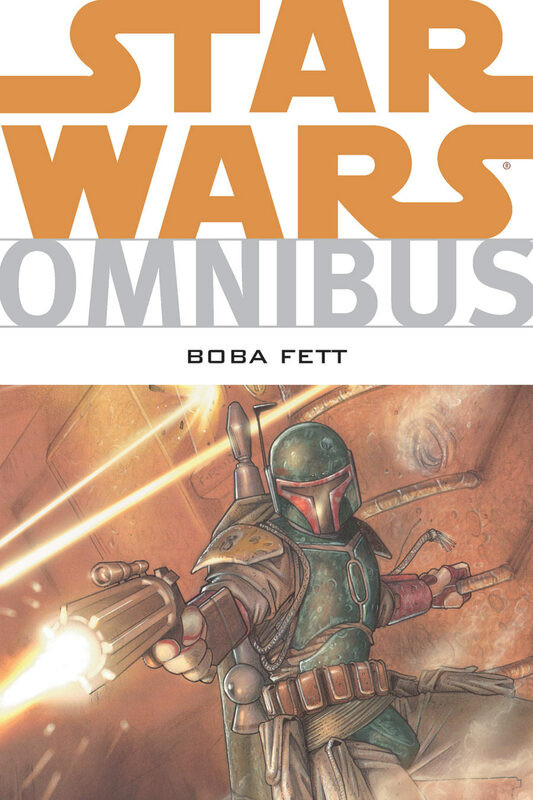 Some stand-out covers were the the criminal line-up by Tim Bradstreet for "Boba Fett: Salvage" and the cover to "Boba Fett: Overkill" by Adam Hughes. From start to finish, this was a wonderful collection of stories. I highly encourage everyone to pick it up and give it a read. I'm glad I got my copy.